This didn’t take long. It’s also interesting that Kim Davis looks like she’s had a few bags of Doritos. 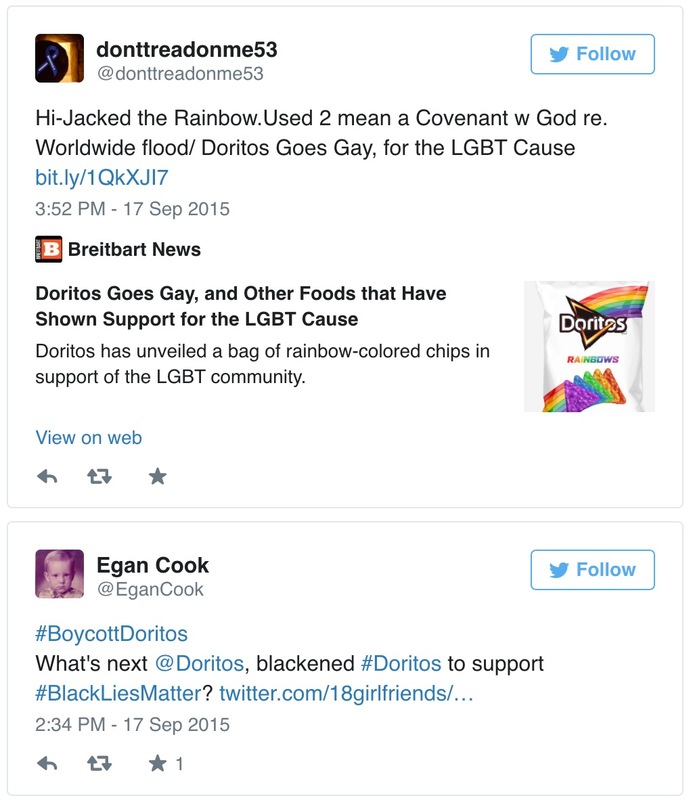 Boycott, boycott, boycott – surprised? 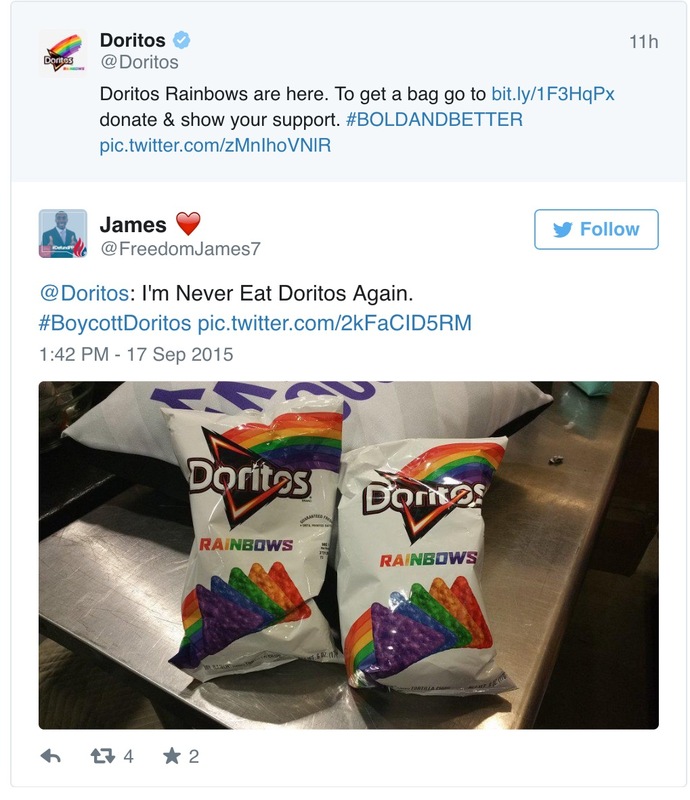 via Conservatives Are Freaking Out Over ‘Rainbow Doritos’ Campaign For LGBT Anti-Suicide Charity – The New Civil Rights Movement. 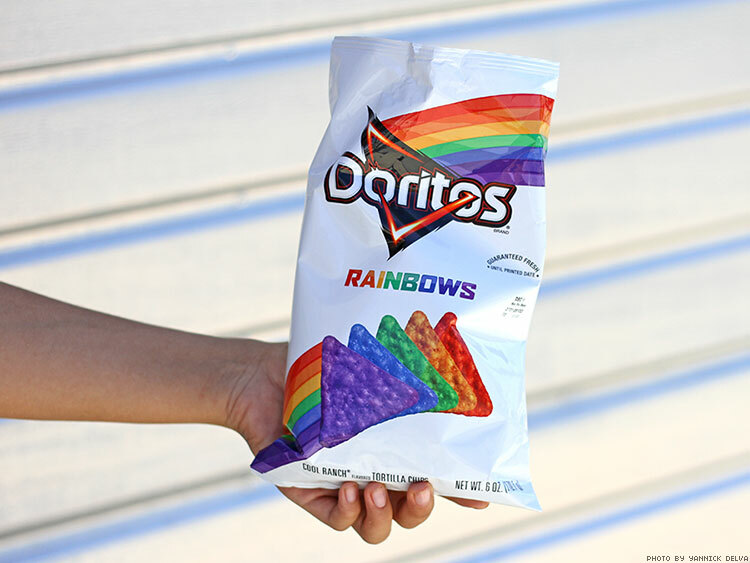 Tags: featured, Gay Pride. Bookmark the permalink.